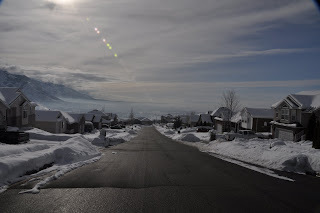 This was taken outside of my parents house in North Ogden, Utah. LOVE the angle on this photo, it looks like all the houses are going to slide down. Really beautiful pic Colby. even though i only counted 3 trucks, you sure this is Utah?